Two short amateur films shot during WWII show daily life in the Pacific Theatre. 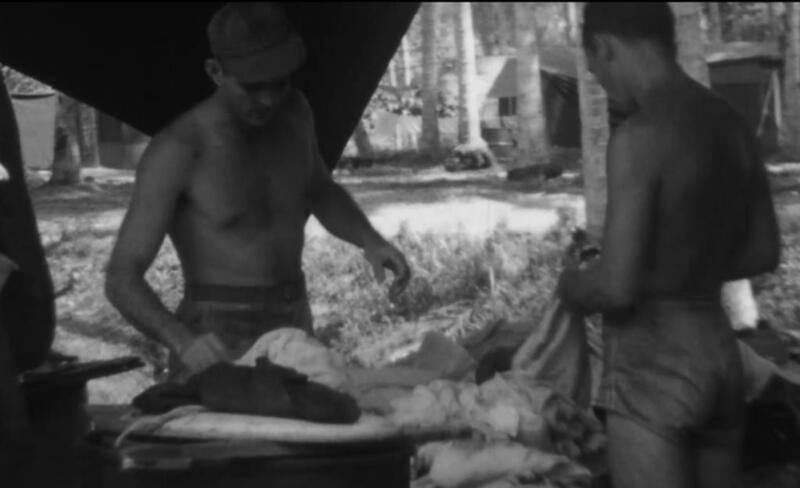 Still from the 1943 black and white film of men doing laundry in camp on Guadalcanal at Lunga Beach. 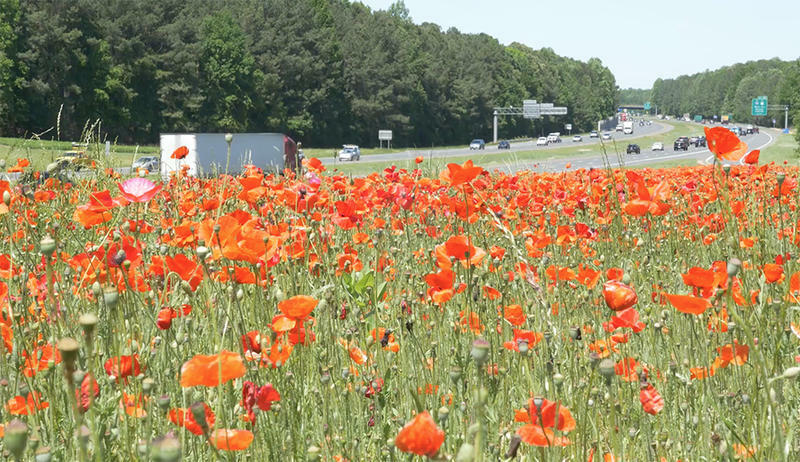 The state archives recently posted two short unedited amateur films shot in 1943 by a Mount Olive man stationed in the Pacific Theatre during World War II. Daniel D. Price was stationed with the U.S. Army Air Forces’ 38th Air Materials Squadron on the island of Guadalcancal in 1943. One film, in black and white, shows servicemen swimming at a beach and providing laundry operations. The other, in color, shows Price and his friend Bill Carroll travelling on Guadalcanal in a U-S Army Jeep… until it gets stuck in a muddy creek. The short films can be viewed at the state archives’ You Tube page. The original films have been preserved through a grant by the National Film Preservation Foundation. I’m George Olsen.